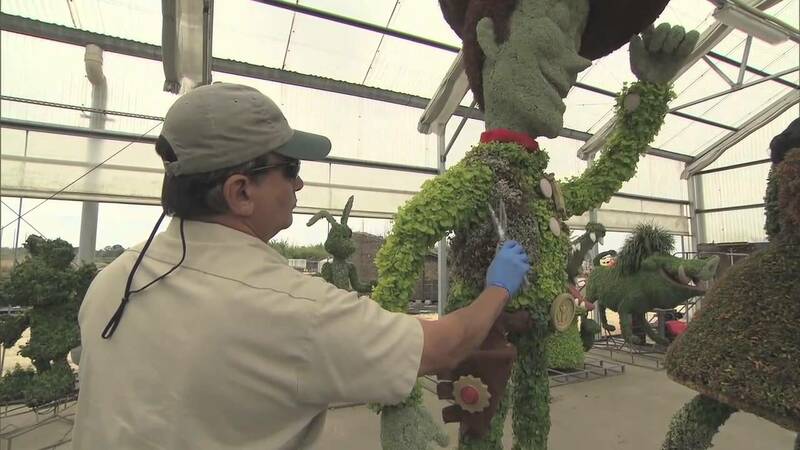 Mar 06, 2019 in "Epcot International Flower and Garden Festival"
The 2019 Epcot International Flower and Garden Festival is officially underway at Walt Disney World, taking place through June 3 2019. New topiary for this year is Bo Peep and her sheep, near the Toy Story themed Family Play Zone in Future World East. Over at France in World Showcase, the Muppets join the display with Kermit and Miss Piggy. Click the gallery for a complete tour of all the topiary and gardens at the 2019 Epcot Flower and Garden Festival. Learn more about everything on offer at the Epcot Flower and Garden Festival.